In many ways I’ve been dreading penning this final ‘Fat Kid Diary’ entry; it’s an acknowledgement (to myself as much as anyone else) that the adventure I’d dreamt about for so long, and lived over the last 3 years or so is finally over, that the beginning of ‘what next’ starts now whether I like it or not, and how do I even begin to summarise and bring to a close 878 days of experiences, memories, emotions, and ‘lessons’ (about the world and myself)? And it’s without any exaggeration to say that the last 74 days since arriving in Paris on the 12th September, to meet the most remarkable group of 55 fun loving, big hearted, and amazing people, who joined the Fat Kid for the final few days riding into Brighton, until today, have been far more exhausting than the entire previous 26 months put together! From having pretty much no social life or company for such an extended period, and then being thrust into the coal face of the RWC, where every day and night seemed to be a reunion with friends I hadn’t seen in years, to countless meetings, interviews, coffees, lunches, and late nights, it’s no surprise that it all came to an earth shattering halt this last week with the onset of chicken pox…if ever there was a sign that the brakes needed to be put on, it couldn’t have come in a more miserable and itchy way! So as much as its important to me to thank as many people face to face as possible who have in anyway been part of Lettie’s Ride, and reconnect with some very important people in my life, it’s also time to refocus on regaining full health, vitality and mobility, spending time reflecting on everything, consolidating all my journals and notes, and unpacking the accumulated memories, emotions and thoughts of a the most incredible time of my life. Over the coming months I’m looking forward to starting to share the story of Lettie’s Ride in a more formal way through talks to schools and corporates (and anyone else who’ll listen! ); I’m blessed having the support of some amazing people who have offered to help me through the process of refining the message, and if nothing else, it’s a story of a different side of Africa that desperately needs to be told against a back drop of the such overwhelming negativity generally portrayed in the media, as well as the power of the made up mind, and that with a passion and purpose, no dream is too big! 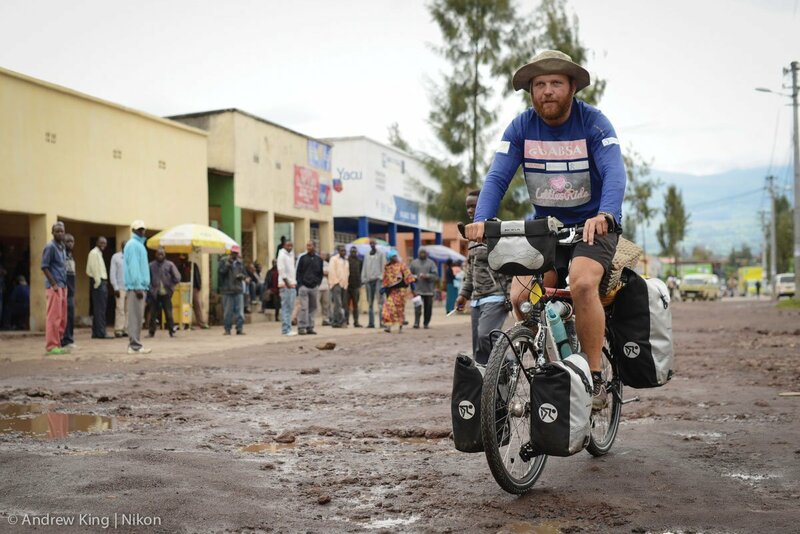 Finally, for those that have been following Lettie’s Ride for a while, you’ll have picked up how quite simply blown away I’ve been by the goodness and warmth and kindness of people throughout this entire adventure…when over and over again the ‘poorest’ people on the planet share their food and water with you with zero expectation of anything in return, it’s humbling beyond measure; for someone on an ‘unsupported’ expedition, I could not have felt more supported, in every way imaginable, from uplifting messages of support on email, Facebook, Twitter etc, to ideas and contacts and suggestions and help with visas, to people opening their homes to me, to unexpected gifts, donations, sponsorships, etc, to assistance with the Fat Kid website and people spreading the Fat Kid story…I could go on and on; to those that have helped nurse me back to health when at my lowest, thank you; when friends fly out from around the world to meet you in the middle of Africa to share some your journey with you, it’s a bigger boost than one could ever put into words; with all the offers of assistance and help in getting back into the ‘real world’ here in SA, that mean so very much; when almost 60 friends, old and new, meet you in a Paris for a fun(d)raising ride into Brighton, to support the incredible work of the Laureus Sport for Good Foundation, and remember the special life of Nix ‘Lettie’ Haynes, it puts you on a high that I don’t think I’ll ever quite come off; and when friends and strangers from around the world contribute to those fundraising efforts, which will help ensure some form of tangible legacy of the last 2.5 years efforts, it’s another reminder of why I feel like the luckiest man alive. So thank you everyone, a million times over, for being part the journey…I’m humbled and grateful beyond measure. Finally, for anyone interested in hearing the Fat Kid story, please drop me a mail, and once I’m up and running properly in that regard I’ll be sure to make contact to discuss and arrange a mutually suitable time, and although the adventure itself is now over, I’ll continue to add photos to the Fat Kid Facebook Page from time to time as I consolidate my photo albums, and of course, I’ll unashamedly use these platforms to let you know when the book comes out!